Armchair with a jaw-shaped silhouette of the rhinoceros. 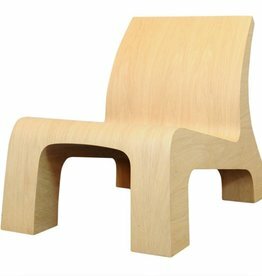 This chair has an unusual design, but is also very comfortable. 55cm high, 50cm wide, 69cm deep Material: wood. Designed in 2001.